I miss writing my book. Writing it was one of the hardest things I’ve ever done. Harder even than getting my Ph.D. At least in graduate school you have a clearly-defined roadmap to a clearly-defined destination. Writing a book, you get totally lost. Kidnapped by the characters you’ve created who live in your head, but refuse to do your bidding! Dialogue that is concise and authentic in your brain turns to babble on the page. Page after page after page—written, torn up, rewritten, crumpled, rewritten. On and on it goes. Pure torture. And yet, I loved it. I feel about writing like I felt about running all the years I was doing it. Sometimes I had such urgency to run that I couldn’t bear to wait a second more than was necessary to tie my shoes. I felt like I was coming out of my skin and only running could set me free. Most times, I dreaded my runs. Sometimes I procrastinated until the time to run was lost to me, and then I felt a familiar combination of relief and self-loathing. The majority of my runs started slowly, legs leaden, feet shuffling. Ten minutes in, I hit a stride of sorts, still reluctantly moving forward. At twenty minutes I was lost in my head, in my breath, in the pounding of my feet on the ground and the beat of the music in my ears. At fifty minutes, I slowed to a walk—a cool down. And then, at fifty-five minutes, I started running again. It was then I found the elusive “runner’s high.” My head clear of everything except the sense of flying effortlessly, full speed ahead. I felt the elation of endorphins. The Sweet Spot. When people ask what it’s like to write a book, I tell them you have got to want it more than anything else and be prepared to give up everything for it. It is all-consuming. Be prepared for people to be upset with you for not being available for days, weeks, months—even years at a time. Be prepared for some of those people to not stick it out. Be prepared for people to not care about your book (that means everything to you) and to not want to hear about it all the time. For years now, when people asked, “what’s new?” I have mostly answered in relationship to the book—where I was in the process—how it was coming along. My book has been my constant. And now, like a love affair ended, or irrevocably changed, I say that I have written a book, instead of that I’m writing a book. I answer that my book is coming out in July. My book is in publication. I still relate my life to my book. The truth is I’m feeling melancholy. I loved the process of writing East of Mecca—the rituals around writing. Mostly I wrote at night, the house dark and quiet, when I could write free of interruptions. I started around 10, after my husband went upstairs to bed. I poured a glass of red wine and put on music. 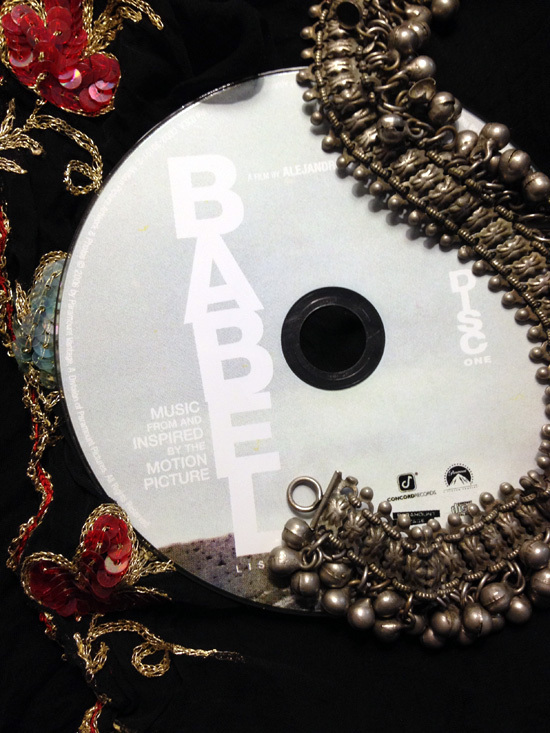 It was always the same—both discs of the soundtrack to the movie Babel (a variety of world music), and two Middle Eastern CDs. I’ve listened to these CDs in the same order for so many years that when the notes of one song fade, I anticipate the beginnings of the next. I slipped on my abaya, or the gauzy black scarf edged with red and green sequins and gold embroidery. Sometimes I fastened my khalakhil around my ankle. Intricately hammered out of dull silver and lined with dozens of tiny bells, it has weight to it. And a sweet chime. It was much like I write on page five of the prologue to East of Mecca. Except the music that initially made me dance is the third song on disc one of Babel—a crazy Japanese techno remix called The Joker. Then, breathless, heart racing, I settled in to write. After a while, I’d get up to stretch and think and do my version of belly dancing—swaying to the beat until whatever words were out of reach would come to me. On good nights I wrote for two or three hours. On excellent nights I lost track of time. One moment it was 11 pm and the next it was 2 am, or 4. Only physical fatigue and the reality of a work day ahead would send me to bed. I loved those nights—lost in my story—when I truly found the Sweet Spot. Today I walked on the beach in Evanston, picking up pieces of sea glass, gazing out at the horizon. I ached with longing for the beach in Saudi—having walked it so many more times in my mind than in reality. I know every curve, every stone. I miss the characters who have populated my life for so many years. Ever since I sent my book out into the ether I’ve struggled with writer’s block. Tonight I put on my East of Mecca soundtrack to write about writing East of Mecca. During track three on disc one of Babel, I got up and danced. And now, I know it is time to move on. 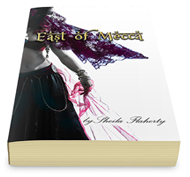 Like any major part of my life story, I will continue to be in a relationship with East of Mecca. I will speak about it fondly, attend signings, learn from it, spread my knowledge, and write about it. But I also have other essays to write, and another book that is already unfolding in my mind. The characters are demanding their stories be written, and taking up too much room in my head to be ignored. I just have to create a new soundtrack for PSYCOtherapist, so I can continue to find the Sweet Spot. Congratulations, Sheila. This has been a long journey and I’m excited to see it coming to fruition for you. I’m particularly fond of paragraph 4 of this post — couldn’t have said it better myself. Looking forward to seeing the final product. Oh, Tina, thank you so much. I KNOW you understand the process! I appreciate it, Mary. I can’t wait for the book to finally be out there! Thank you for all your sweet comments. Sheila – I’m in awe of you. Best wishes for a successful publication and sales. Can’t wait to read it. Thank you so much, Alison! So very nice of you to comment, and thank you for the well-wishes! It means a lot. Congratulations Shelia! I wish you the very best. What a gift to be able to put the past to rest. Rock on! Thanks, Nancy! You taught me well on the power of personal essay to help make sense of and put the past to rest! But, despite everything I said in Sweet Spot, I have a feeling the characters from East of Mecca are going to travel with me…linked arm-in-arm…for the rest of my life!!! Thanks, Brie! You’ve been right there with me through so much of the process! And, yes, it does feel like labor pains after a ridiculously long gestation period! I can’t wait to hold the book, either. I think I’ll probably cry. A lot.